In any marketing situation, finding the right people to buy your product is a massive step towards being successful in your endeavour. This, of course, applies to book marketing too, and because indie authors & a handful of small press authors usually have to promote their books themselves, it’s crucial that they understand how. But quite a lot of them don’t understand how. Many authors will decide on a gender and age category, and think that will be enough, when in fact that’s so vague that you might as well have just said all of humanity. And then there are the authors who actually try to market to all of humanity. Friends, I will preach this until the day I die— you cannot sell your book to just anybody. You. Cannot. Sell. Your. Book. To. Just. Anybody. I hear you, friend. I truly do. And yes, it’s completely possibly that a large demographic of humans will enjoy your novel, to the point that it becomes a highly recommended bestseller. After all, Harry Potter is a children’s series that is much loved by both children and adults. 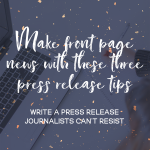 But in the early stages of launching and marketing your book, you need to have a focused demographic to target, or else your book is never going to reach the eyes and ears of all of humanity. Contrary to everything I said above, picking an age group is a great place to start. It gives you an idea of what kind of people you’ll be targeting, including their hobbies, interests, commitments, etc. Now before you call me a stalker, this is a legitimate thing you have to figure out, okay? Let me tell you why: because you have to figure out how to get your book in front of them. The reader can’t come to you if they don’t know you exist. That makes sense, right? So, you have to go to them, but there is a wrong way to do it, and a right way to do it. Pro tip: The wrong way includes sliding into their Twitter DMs with a book synopsis & direct link to buy. Showing up at their local hangouts. Finding mutual ways to connect with them and build relationships. Being proactive online & building your author brand. I’ll cover more about all of this as we go, but for now, pick your target age group. (And yes, you can pick more than one, but just be prepared to do separate work for each group of people). Marketing is a very social thing (and I can already see you introverted authors running for your lives). But you gotta get in there and try to engage with people, and I know you can do it! It’s really not that hard, or scary, and I can promise you that because there is one thing that you are always going to have in common with your ideal customer (aka, your target audience). You are literally meeting someone who loves what you create with your imagination. But back to my point— this is your connection. The root of this crazy, personality chart you’re about to brainstorm is the fact that your target audience loves books. So think like a bookworm. But more importantly, think like a bookworm who is in your age range. If you write for young adults, where do they like to hang out? At the library? At coffee shops? What about online— where do they spend their time? If you write for new adults, well, same thing. Where can you put yourself in their path? Now, we have to go deeper than that. You have to figure out who, precisely, your book’s content is going to attract. If it’s a book about a princess in a dystopian world, engaged in a political conflict, your target reader might be super into politics and debate club, or they might just really like royalty and all things historical. This is information to pack into your arsenal when you go out onto the book-selling battlefield, because if you craft the right rhetorical question, you will create intrigue around your book. Picture this: you create a graphic, but all it has is the book cover, the title, and where to buy it. Boring. Now picture this: you create a graphic with an engaging question that immediately hints to the reader what your book is about. 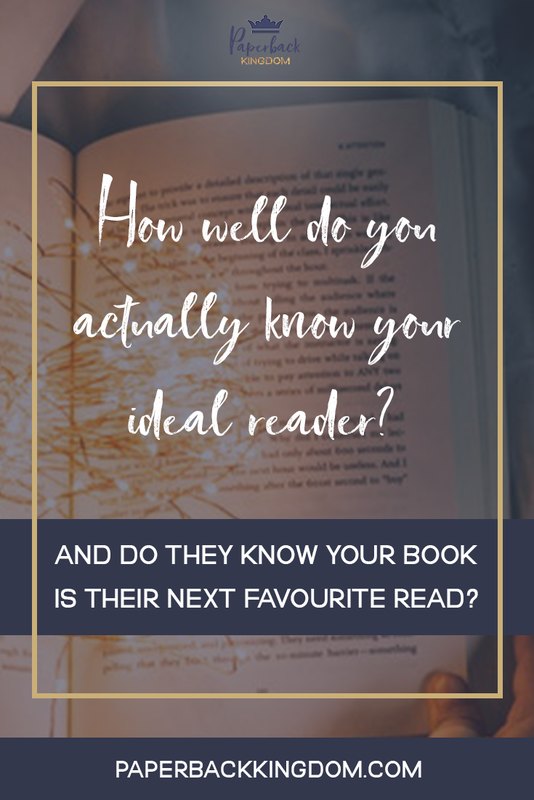 It resonates with their personal interests, and it attracts your dream reader. Someone who is going to adore your book. Someone who is going to rave about it in the book community. Someone who will boost your credibility and reputation, because they have already built relationships with the people they are raving to, so those people are going to trust this person’s recommendation over your sales pitch. And this is exactly what you want. Now picture this: you put this graphic everywhere that your target audience hangs out, and tons of people see it. So, we’ve figured out how to attract interest. Great! But we also have some obstacles to overcome. It’s all fine and dandy if you create a product that is engaging and alluring to your target audience. After all, we as humans are drawn by interesting, alluring things every day of our lives. I mean heck, I spent an hour on Pinterest this morning gushing over pastel pin collections and very nearly spent all of my savings! But I didn’t, and why is that? Because I have commitments and obligations that take priority over my desired purchase. The same thing is going to happen to you too, my friend. This is where you have to create that personal connection. That trust bond. You have to convince your target audience that your book is worth splurging on, that they’d rather buy your book than eat dinner tonight. (I’m just kidding, but you know what I mean). Our obligations have a strong hold over us, because there is so much at risk if we fail to meet them. It makes retail therapy feel like a guilty pleasure. But that doesn’t stop most people from buying things they love— it just means they are more likely to invest in something they trust. Example: College students are busy people, living on low income, and rarely have time for themselves. So think about how you can make your product more desirable for them. Maybe you could offer a discount if they buy two of your books at the same time, so that it feels like a more valuable purchase? Maybe you have an audiobook version? (This is great for people who like to multi-task, by the way!) Think about what obstacles are preventing them from buying your book, and try to overcome them. Notice how I’ve mentioned trust a lot in this post? Well, that’s because it’s super important. People are going to buy from sellers that they trust. People are going to invest money in books that they know they will enjoy. Which is why you’ve got to build up credibility as a writer. You’ve got to show people that readers are connecting with your work, your voice… with you! 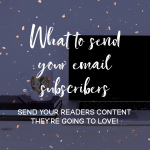 You’ve got to create that buzz, that urgency around your book, that it’s a story worth reading and that people in your demographic are loving it! If more people hear that, more will take a chance on it. The best way to do this is to engage directly with your audience time and time again, and be relatable. You don’t have to be a teenager to be liked by a teenager. You just have to relate to them somehow. Show them you understand their struggles, that they can come to you when they need someone to laugh with. Put out content that they’re going to enjoy sharing with their friends. And slowly, they’ll come to know you, and your voice, and they’ll fall in love with your words… your books… and you, as an author they hold close to their heart, and proudly displayed on their bookshelf, time and time again. Your target audience is the only thing that can truly help you reach your potential. So make the effort to understand them. Build those connections and relationships. And treasure each and every reader you receive.